Wei Wei Air-Con Engineering Pte Ltd is an established aircon servicing company located in Singapore. We specialises in wide range of aircon services such as servicing, repair, chemical wash, maintenance contract, installation and more. Our technicians are well trained in aircon service, aircon repair and aircon chemical wash for different types and brands of air-conditioner in Singapore. Hence, you do not have to worry as our air-conditioning servicing and air-con repair are carry out by our professional and qualified aircon technicians. With over 20 years of experience in the air-conditioning industry and teams of experienced professional staff, we are able to provide quality aircon servicing, aircon chemical washing, aircon repair, aircon maintenance contract, aircon installation to customers in Singapore. Furthermore, we are one of the qualified aircon contractors in Singapore and we are committed to provide quality air-conditioning services to all of our customers in Singapore by providing island-wide aircon services. General aircon servicing is one of the essential aircon services that is able to improve the cleanliness of your air-conditioners by cleaning different components in your air-conditioners. Other than that, it will also improve the operating efficiency of your units and ensure cleaner air in your home or office. 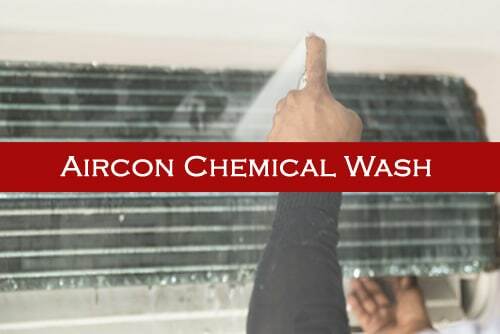 Aircon chemical wash is the thorough aircon chemical overhaul wash for your air-con units. This is requires you’re your aircon is very old and dirty where general aircon servicing could not improve the condition of your units. By chemical wash aircon, it is able to remove the dirt and dust that is in the unit. Hence, it is highly advisable for older aircon units that lacks of regular maintenance sand requires a thorough chemical washing. Having an aircon maintenance contract have many benefits for your air-conditioners in the long run. 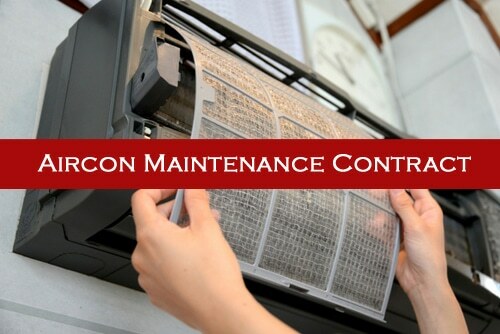 A regular aircon maintenance can ensure that your aircon being regularly serviced. Furthermore, your units are in good hands where our professionals are able to perform regular checks and ensure that your air-conditioner is in good working condition. 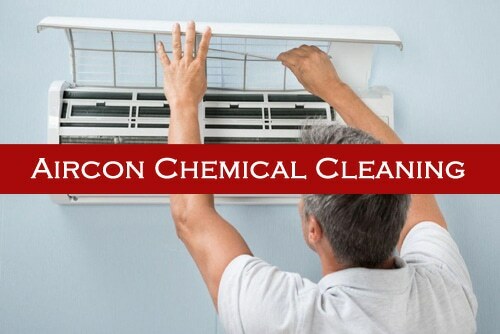 Aircon chemical cleaning is a thorough cleaning of your air-conditioner unit. This is suitable for air-conditioner unit that have not been serviced regularly and the unit is dirty. Our professional technicians are able to provide quality chemical aircon cleaning for different types and brands of air-conditioning units. Do not hesitate and contact us today. Our professional aircon repair service in Singapore are performed by our qualified and experienced air-conditioning technicians. We are able to provide air-conditioning repair for all aircon brands and models. 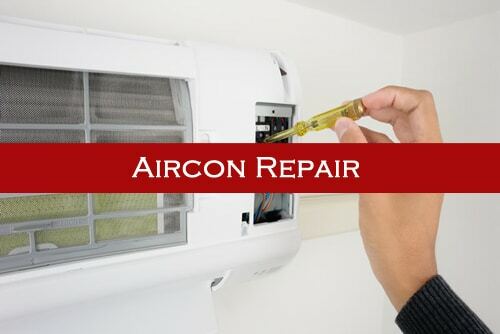 Other than that, if you are facing parts that are beyond repair, we are able to replace it and regain the functionality of your air-conditioner. 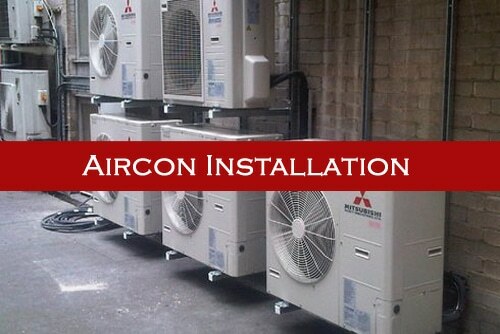 We provide aircon installation in Singapore for residential homes such as HDB flats, Condominiums, and offices. Our air-conditioning installation includes replacement of old aircon units and installation of new air-conditioners which includes inverter or non-inverter air-conditioning system. We specialise in aircon servicing, repair, maintenance, chemical wash and installation for many aircon brands such as Daikin, Mitsubishi Electric, Panasonic, Mitsubishi Heavy Industries, LG, York, Toshiba, Sharp, Hitachi, Fujitsu, McQuay, Carrier, Sanyo, Midea, Samsung, EuropAce and many more. Thus, regardless which air-conditioner brands you are using, we are able to meet your air-conditioning servicing needs in Singapore. Contact us today to find out more about our services in Singapore. Why Choose Us as Your Aircon Servicing Company? We are one of the qualified aircon servicing Singapore contractors. With years of experience in the air-conditioning industry, we believe that we are able to provide our customers with reliable and quality aircon servicing for their air-conditioners and meeting all their air-conditioning needs. Choosing an aircon servicing Singapore contractor for your air-conditioning units is very important. An professional aircon technician not only able to service and clean your aircon professionally, they are able to check and detect any possible problems in your units and provide advice to rectify the issue and regain the functionality of your units. Below are some of the reasons why you should choose us as your air-conditioning contractor. 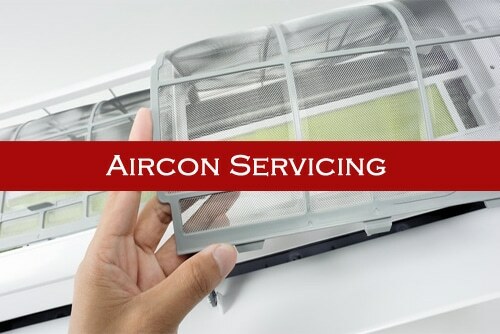 With more than 20 years of experience in offering aircon services to consumers in Singapore, we are able to understand our clients’ needs, providing them with satisfactory Singapore aircon servicing services and helping them to solve their air-conditioner problems efficiently. In our company, our skilled technicians are qualified to service and repair all your air-conditioning system for your house or office. It is important to hire an experienced aircon servicing Singapore company to service or repair your units as inexperienced contractors may result in poorly serviced units and cause more harm to your air-conditioner instead. With our qualified and experienced staff, we are able to provide you with quality customer service and aircon services. If you are facing any air-condition problems such as aircon not working, aircon not cold or requires any aircon services such as aircon servicing, repair, we are able to provide you with quality services and solve your problems. We are confident in providing quality repair aircon services and we strive to be your one stop air-conditioning company in Singapore. To meet the rising demands of air-conditioners in almost all industries, we provide wide range of aircon services such as aircon servicing Singapore to all residential, commercial and industrial clients. We aim to provide the best aircon services by meeting all our clients’ air-conditioner needs, delivering quality services and establishing good customer relations with our customers. With our experiences, we are able to offer quality commercial aircon servicing to our commercial clients where we ensure they are able to relax and work comfortably in their office. There are many different types of air-conditioning system in Singapore catered to different air-con needs in different industries such as HDB flats, offices, warehouse, factories, shop houses, churches, restaurants and many more. 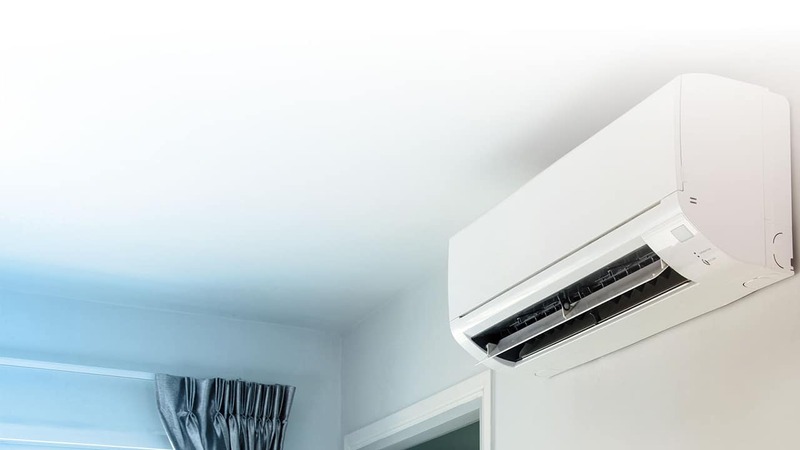 We specialise in different air-conditioner system such as split system, ceiling cassette, ceiling suspend, window aircon, casement window aircon, inverter and non-inverter air conditioner, VRV or VRF system and many more. Thus, if you require any aircon services for your home or office aircon, do not hesitate to call us to service or repair your aircon today. 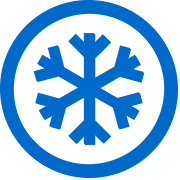 Due to the hot weather in Singapore, there are many air-conditioning brands can be found in Singapore in order to meet the high demands of air-conditioner. With the increasing air-conditioner brands in Singapore, we make sure that we are capable in meeting your air-conditioning needs by training our staff regularly. We carry and specialize in most of the aircon brands in Singapore such as Daikin, Mitsubishi, Panasonic, Toshiba, Samsung, LG, Midea, York, Sharp, Fujitsu and etc. Thus, if you require any aircon installation services or aircon servicing Singapore, feel free to contact us to find out more about our installation service. 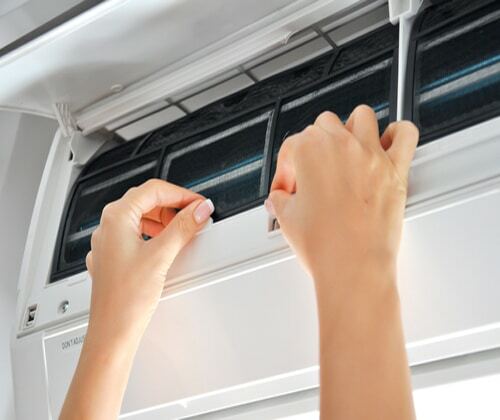 Wei Wei Aircon provides a one stop aircon repair services for consumers in Singapore. Other than that, we are able to provide onsite repair for certain aircon problems. Thus, if you require any aircon repairs services for your air-conditioning units that requires immediate action, feel free to contact us to rectify your issues. Our repairs services are performed by qualified aircon technicians where they will troubleshoot your air-conditioning system, diagnose the issue, provide economical solutions and rectify the problem you are facing. 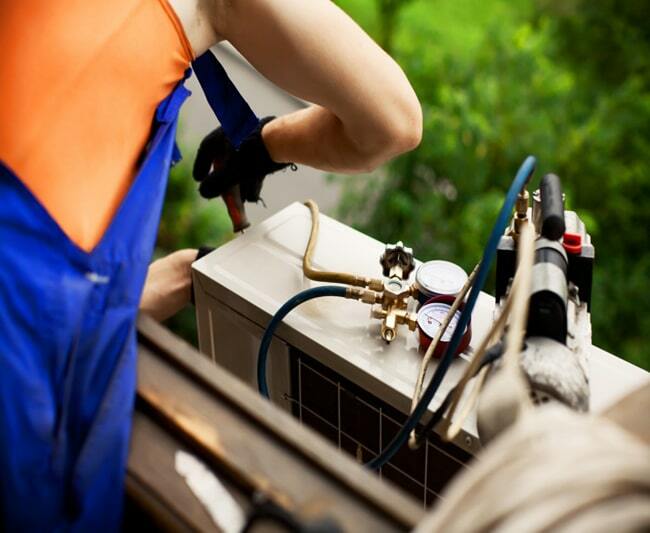 For certain air-conditioning problems, we are able to provide on-site repair which will save your time and get your air-conditioner working as soon as possible. With a large team, we are able to accommodate with your schedule and provide service at a timing that suit your needs. We understand that cleaning the whole house or office is troublesome after every repair works and we ensure that our team will keep your house and office clean after each repair works. Our trustworthy and experienced repair technicians will be able to rectify all your air-conditioning problems and regain the functionality of your air-conditioners. Hence, if you are facing any aircon issues, do not hesitate to call our friendly staff. Air-conditioning system can be commonly found in most households and offices in Singapore. There are many different types and brands for an air-conditioner. However, if you bought an excellent or the newest air-conditioning system that is able to cool down your house efficiently, this does not mean that your units do not requires maintenance. If an air-conditioner do not have any regular aircon service for a long period of time, the aircon units have higher chances of being malfunctioned. If your house or office air-conditioner breaks down, it can cause great discomfort and inconvenience to your family or colleagues since they will need to endure the hot weather in Singapore. This can be prevented by having a regular aircon maintenance on your aircon system where you can also save on the future hefty repair cost and troubles that you may face when your units breaks down. Air-conditioner is no different to any other machinery where regular maintenance and proper servicing is the most effective preventive measures. Besides that, having regular air-conditioning servicing have benefits to the health of your families and savings on the energy bills for your house. In addition, there are other benefits such as improving operating efficiency which will helps to reduce the energy consumption from your units and also cleaner and healthier air flow. Thus, having regular maintenance in the long run helps to improve the overall efficiency of your air-conditioning units and also helping you to save on your energy bills and providing cleaner and healthier air for you and your families.